Directions: Melt together butter and cocoa. Beat eggs and sugar together, and add cocoa mixture alternately with flour. Add nuts and vanilla. Bake in 9 x 13-inch pan at 350 degrees for about 30 minutes. 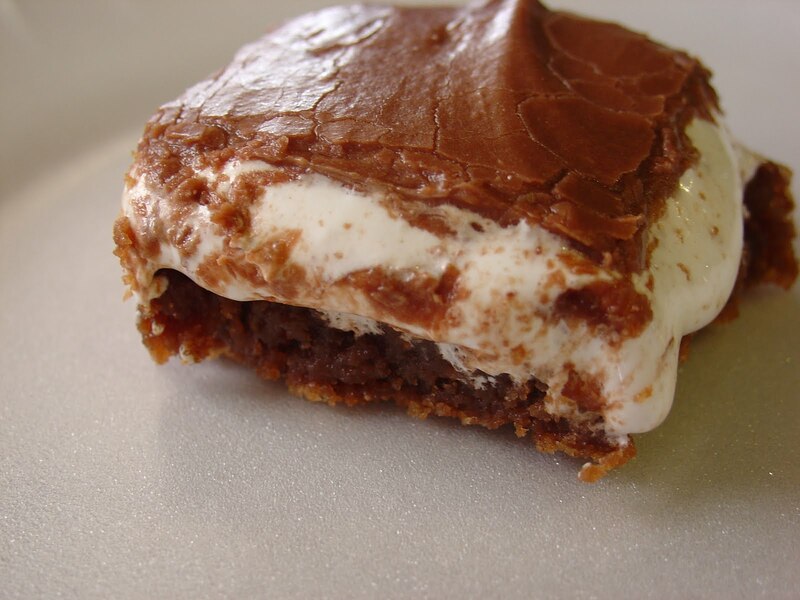 Spread top with marshmallow creme as soon as it is removed from oven. Let cool and frost with the following. FROSTING: Melt together 1/2 stick butter and 1 heaping T cocoa. Add 1/2 box Powdered sugar. Beat with 1 T milk. Spread on brownies.